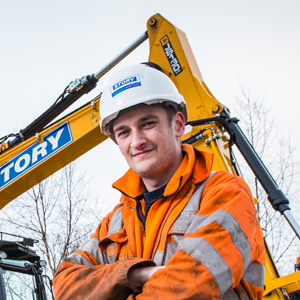 Due to our Company growth and busy workloads, we now have an opportunity for a Plant Fitter in our Leeds Workshop, working with our growing fleet of some of the most sophisticated Road Rail Vehicles on the rail infrastructure. Reporting to the Manager, you will work as part of a team or unsupervised depending on the job, carrying out maintenance to machines and attachments. You will use all of your previous experience to ensure Health and Safety requirements are met and that all work carried out satisfies statutory regulations/standards. Experience of maintaining Plant machines and equipment is essential and previous experience with Rail Plant would be extremely advantageous. Self-motivated, and well organised, you will be driven by working in an environment that is fast paced and requires a proactive, solutions focused approach. A Full UK Driving License is essential as you will be travelling to sites for breakdowns and servicing, for which a vehicle will be provided. Contracted hours of work will be 40-hrs, carried out over any 5 out of 7 days, Saturday to Friday. Customer requirements mean that you must be prepared to work unsociable hours which may include long shifts and weekend working, for which you will be rewarded. In return for your commitment and can-do attitude, you will receive competitive rates of pay, pension, national retail discounts, help towards healthcare costs and access to our cycle to work scheme. Please quote ref P181967 on your cover email. My time at Story has allowed me to further my career by letting me become more specialised in certain aspects of my role.